Rather than your typical catalog, Saga offers yearly “cookbooks” replete with new products which challenge the impossible and transcend boundaries that we once thought permanent. The idea of the Cookbook aptly represents Saga’s mission; while other companies replicate, Saga creates. They mix and match new technologies until, they emerge from the kitchen decked out in groundbreaking gear. From Saga Monarch 3L Pants and Saga Fatigue 2L Pants to the Saga Coaches Jacket and beyond, their annual cookbook contains all the ingredients for outdoor adventure. Insulated with Strategic Microfleece, Mesh and Brushed Tricot Lining and topped with a SAGA-tek 3L Hard-Shell - Rugged Nylon Ripstop Fabric, their adventure pants exemplify the informed construction of all their products. 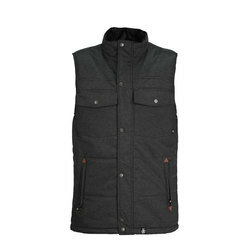 Not only will Saga Clothing keep you warm, but the material will repel moisture and offer maximum breathability. However, they also emphasize style. The Saga Coaches jacket, for one, has a toasty quilted liner, but it’s also imbued with a modest grace as well. Hip enough to use as your go-to winter jacket, this alpine vessel can capably navigate harsh winter temperatures without missing a beat. Take one look at their bags and accessories to confirm this commitment. Nowhere else can you witness such a careful collision of practicality and fashion. Knowing that Saga clothing must also accentuate the personality, the “cooks” at Sag clothing, have concocted innovative designs that are eye-catching and classy. True innovators in the outdoor industry, Saga clothing is relatively young. Not yet ten years old, they’ve already nabbed a hefty chunk of the market, and thanks to their dedication and ingenuity they’ll probably nab more. If you’re seeking gear for a specific adventure, regardless of season or location, Saga clothing will most definitely equip your expedition. The rest is up to you.